The US, in pursuing its wrong-headed “war on drugs,” set up an air force base in Ecuador, which President Rafael Correa became convinced was also an intelligence operation. He closed the base in 2009. The “war on drugs” appears to have been a policy lobbied for by US pharmaceutical and liquor corporations, which artificially raised the price of other recreational drugs and created black markets and criminal cartels to fill the demand, ravaging much of Latin America. 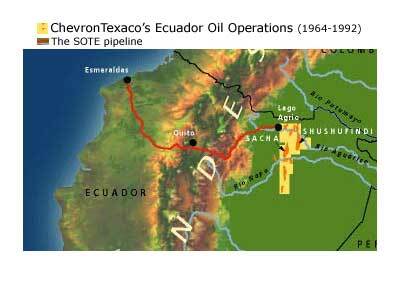 US and other banks had indebted Ecuador to the tune of over $3 billion. President Rafael Correa argued that much of this debt was “odious,” contracted by corrupt governments and given under unfair terms, and he managed to have half that sum revoked. The State Department, in cahoots with US pharmaceutical corporations, actively lobbied to undermine Correa’s policy of improving public access to medicines and reducing drug costs. US banana corporations in Ecuador have a long history of paying labor badly, interfering in attempts at labor organization, and requiring long work days.